Trips and Getaways are the best way to relax from the stressful work life. You could just plan a trip or getaway for the weekend to relax both your mind and body. A trip could help to have a good time with your family or friends in a good location and the suitable activities that the location could give you. All you need is a nice plan to enjoy your trip to the fullest. There are different ways you could have fun with family and friends, this weekend. Select some countryside with a river or lake nearby or may be a hill station and rent a house for the weekend. There will be so many activities that you can plan here. 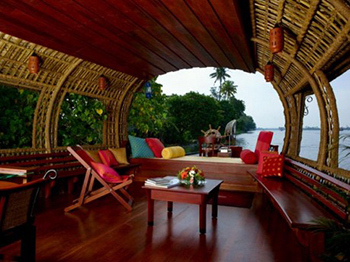 Another idea is to plan a cruise or may be two days and a night on a houseboat. However, this could not be very easy on your wallet. A camp out in the woods is also a very good idea. You could have your own tents made, with all goodies packed up. Just make sure that you choose a safe spot in the woods so that you stay away from wild animals. Have a brain storming session with your family and friends and you will definitely come up with more weekend getaway ideas like these. The most important point would be to ensure that everyone enjoys the trip. The success of trip depends on how well you plan it out. The best way is to distribute responsibilities among friends and family members. For example, one person can take the task of arranging commutation to the destination and another regarding the stay there. You can have someone else for arranging the food and so on. This would let you experience the best out of your weekend getaway trip. With all the activities in a trip, food is a common issue to be handled, especially for kids. Plan your menu in advance and make all arrangements. Don’t forget to include some snacks which kids would love to munch on in between their activities. 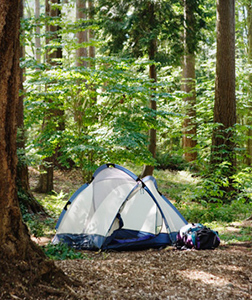 In case you are planning for a camp out in the woods, the chances are that you will have to prepare your own food. A good idea would be to rely on tinned meat or food, which can be easily cooked in the woods with some open fire. If you are planning a big group getaway, another important factor is sending invitations to everyone with all the details including the destination spot, date and key attractions for the trip. Your best choice is to send online invitations, which are ready for you at Yoovite.Com. The RSVP option allows you to keep track of everyone who will be present for the trip. So, what are you waiting for? Pack up for the weekend and enjoy a thrilling getaway away from hustle bustle of city life.